The Trident Academic Calendar has all of the information you need regarding important dates and deadlines. Wondering when you can register for courses? Want to know the last day to apply for admission? The Academic Calendar has all of the information you need regarding important dates and deadlines. The 4-week sessions are available to certificate and diploma program students. Enrollment certifications for these programs will be reported to the Department of Veterans Affairs for the entire length of the five, six, nine or twelve month programs accordingly. All module assignments are to be submitted by 11:59pm PST. 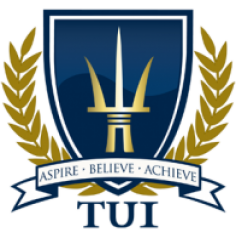 Please see the Trident University Catalog for Trident’s refund policy and other important policies and procedures. The Trident Fastrac enables students to speed up their journey to graduation by completing courses in an 8-week format. Take control of your degree path with increased flexibility and graduate sooner by completing courses in 8-weeks. Students completing bachelor or master degree programs are eligible for the 8-week format. Due to the rigor of the doctoral programs, Ph.D. and Ed.D. courses are not available in the 8-week format. The 12-week sessions are available to doctoral students.